Discover the Cathedral of Porto (Sé do Porto). 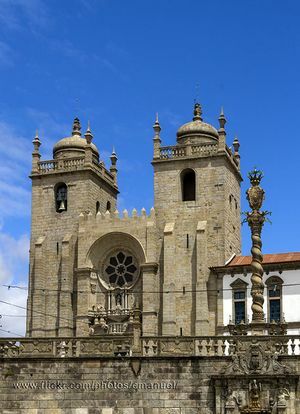 The Sé do Porto (Cathedral of Porto) is located on top of the city and, from here, you might contemplate magnificent views over the river and the city. 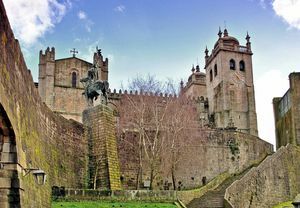 From the Praça da Ribeira Square starts a network of Medieval streets and ladders climbing all the way up to the cathedral. The Sé do Porto was built on the 12th century and rebuilt a century after, as well as during the 18th century. Nowadays it still has the same good conservation state and its Romantic inspiration. From its interior we highlight the high stone arches, the Gothic cloister, which dates back to the 14th century, the silver altarpiece from the 17th century and its carved reliefs covered in golden leaf.